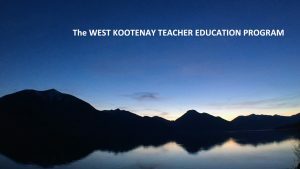 Some new documentation is available from voices of those involved in the wonderful West Kootenay Teacher Education Program. Please find a new video here on this site. With many thanks to those who shared with us. We hope those who view this documentation are as inspired as we are.